EnerNex’s Doug Houseman explains how we sell microgrids short. The ideal microgrid is not just a technology to generate power, but a way to manage an entire habitat. 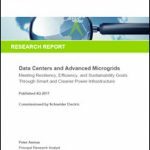 There is a lot of discussion about microgrids and their future and impact on the electrical industry. But most of those focus on delivering electricity and reliability. Unfortunately, that sells the possibilities of the microgrid short. Way short, with a much higher waste of energy and opportunity than there should be. Ideally microgrids balance supply and demand, optimizing the economics of the system when connected to the larger grid, and providing a complete balance when running disconnected from the grid. In remote locations microgrids may be designed from the ground up to run in isolation. Most microgrids are designed to use these components in addition to provide some amount of combined heat and power (CHP), which helps reduce lost energy depending on the location of the microgrid and the environment it operates in. Doing the business case for a traditional CHP based microgrid is easier than doing one for a microgrid that only provides electricity, because of the additional value delivered. But in many cases the microgrid still does not meet the return on investment metrics. There is a lot more that microgrids can do and far more of the ‘outputs’ [waste] that can be used. Solar panels get hot and when they are hot, their efficiency is reduced. Capturing that heat can both improve the efficiency of the solar panel and produce hot water. Energy does not have to be stored as electricity, in an industrial setting – hot water, high-pressure air, or other process inputs may be more efficient and have a lower cost to implement. In the summer time, heat may not be needed in buildings, and may be diverted to hot water, or even creating distilled water/drinking water. At the same time, in very hot locations, storing excess electricity as ice to support cooling buildings may be more efficient. Batteries may not be the answer for all storage needs. Taking the outputs a step further, most greenhouses burn natural gas to produce carbon dioxide to grow plants, with the right catalytic converters natural gas outputs from diesels and fuel cells can be useful as an input to greenhouses. Growing fresh food for use in local eateries can easily be an output of a greenhouse, fuel cells have the added benefit of producing high moisture content exhaust (hydrogen + oxygen = water) which when managed can provide an ideal greenhouse environment. Using these ideas, electricity, heat, moisture, and carbon dioxide can also be used from the microgrid. This makes the microgrid much closer to sustainable than it would be otherwise. Add solar air heating in Northern climates to supplement the heat produced from generation, and the microgrid can be balanced to the climate, while not burning fuel when there is no call for electricity. Integrating the control system across the whole system, and the microgrid because not just a microgrid, but a habitat management system. Now we just need a few pioneers who want to do the full integration of microgrids, to prove the concepts and determine the right sizing for the system components. 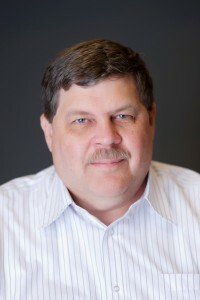 Doug Houseman is the vice president of innovation and technology at EnerNex. He is a senior member of IEEE and a very active member of the Power and Energy Society.